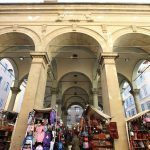 The New Market Loggia, better known as the Loggia del Porcellino, was commissioned by Cosimo I Grand Duke of Tuscany and built between 1547 and 1551 on design by Giovan Battista del Tasso. 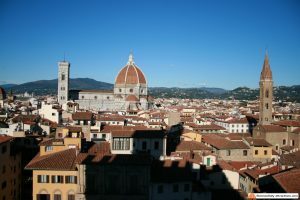 It was the first important change in the city center made by Cosimo, who later will give Florence a new face with the Uffizi and the Vasari Corridor. His goal was to give a new place, different from the regular market, to the activities focused on luxury items and, in general, on the upper class. Many silk merchants crowded the loggia, but also many bankers. You don’t have to think to banks like huge buildings with many offices, like today, but to a single man with a desk, covered by a carpet, a balance on top of the desk, weighing coins in order to exchange currencies. The banking activity in Renaissance Florence was regularly carried out in street markets. Of course, we are not talking of international banks like the Medici, but small banks. Later on, the loggia was used for the straw market: it was something typical of Florence and attracted many tourists, but after World War II the changes in agriculture stopped this flourishing activity because both the raw material and the labour were not available anymore. 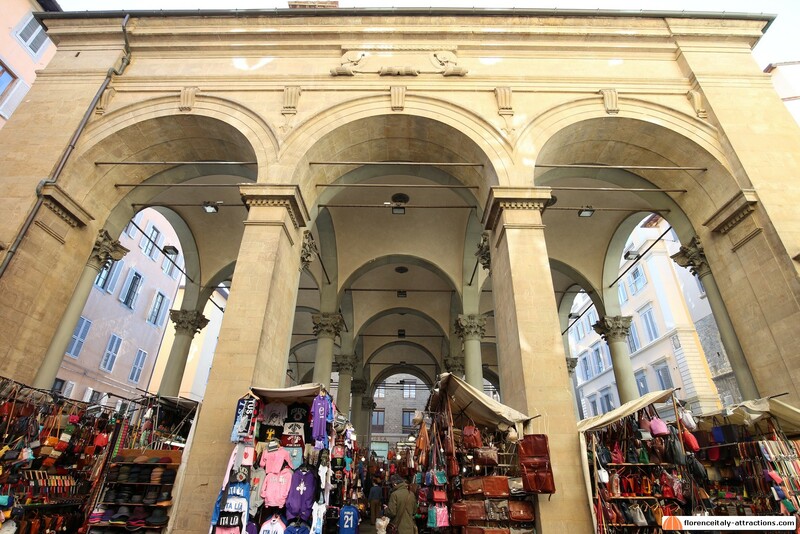 Today the loggia hosts a market of souvenirs and is one of the city attractions. 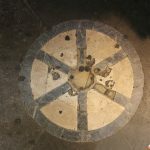 If you happen to walk inside the Loggia del Porcellino to see what the peddlers have to offer, probably you will notice something in the floor. Something like a wheel. That was the place where people who went bankrupt were left to sit, naked: they had to feel ashamed, because in a society based on trading like Renaissance Florence, not paying back your debts was one of the worst things you could do. 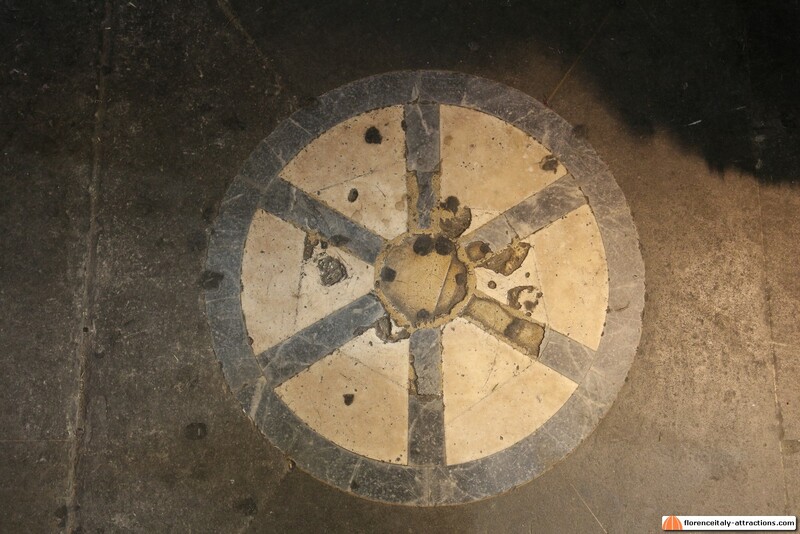 Even today, when someone goes bankrupt, in Florence we say that he ended with his “arse on the ground”. 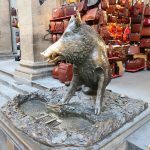 The reason for the popular name of Loggia del Porcellino is of course the fountain with a statue of a wild boar. Actually, porcellino means piglet, not boar, but this is not important. 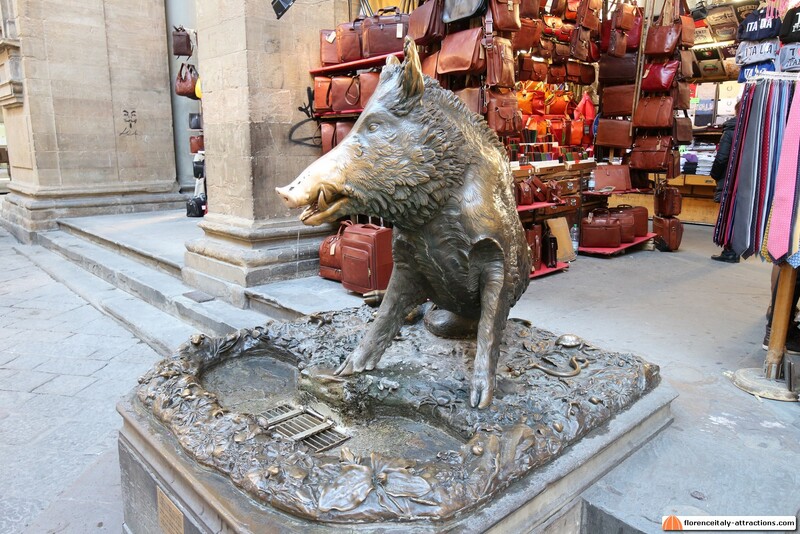 Fact is, this fountain attracts masses of tourists who use to toss coins in the mouth of the boar. The game is: will the coin pass through the grate and go down? 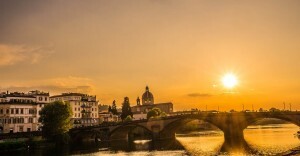 If yes, you’ll come back to Florence. The funny thing, as I always point out to my customers, is that this statue is a 19th-century copy of a 17th-century copy of an ancient Greek statue that can be seen at the Uffizi Gallery!